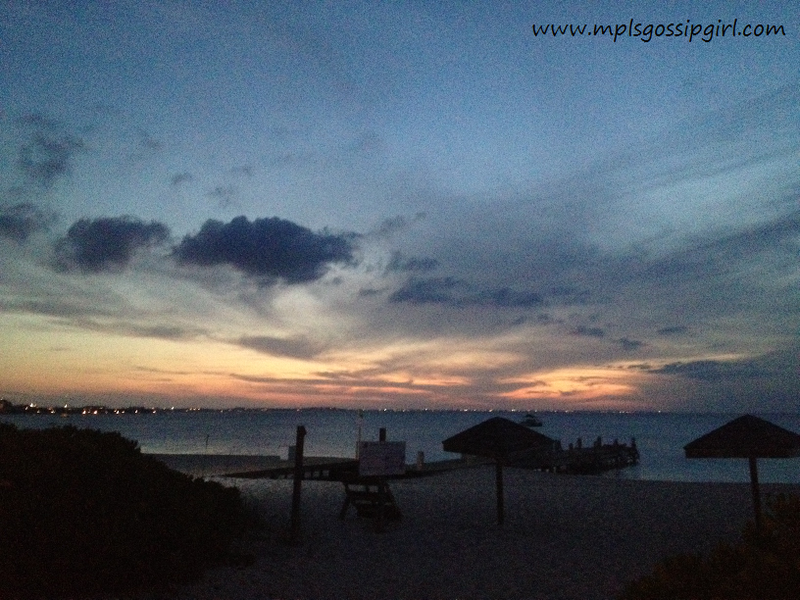 Over the next week I will be writing about my latest vacation to Turks and Caicos. This was the first out of country, seven-day, tropical vacation for me. Now, I see why people flock to beaches during the long winter months in Minnesota. I guess I could say long Spring months now, since it is snowing in MAY! 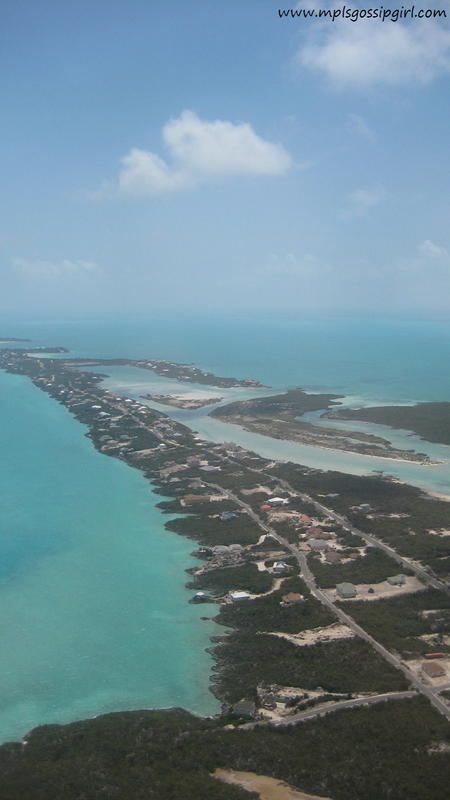 Turks and Caicos is located in the Caribbean close to Cuba. I chose Turks and Caicos because it was a less touristy place than Mexico or Jamaica. Also, I wanted to be able to explore the island and eat at many different places versus an all-inclusive type vacation. Most of the research for this vacation was done on Trip Advisor. I do have to say that most of the reviews were accurate and the suggestions from the destination experts were very helpful. 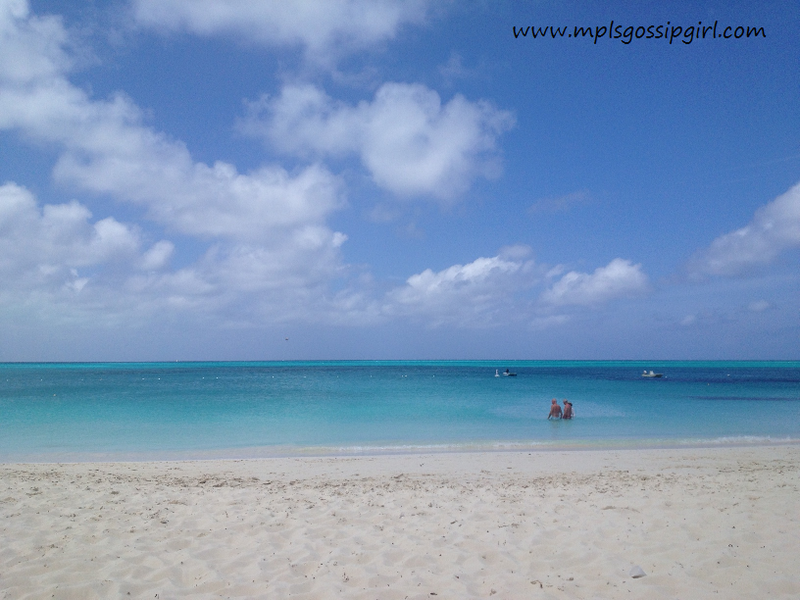 I read the travel forum for Providenciales or Provo as the locals call it, the specific island I stayed on. I also used the Provo Bums website often http://www.provobums.com/html/links.html for links to local businesses. You will have to make reservations for certain restaurants and excursions before you go. Many restaurants and businesses will not take reservations by email. Be prepared to make a few phone calls to Turks and Caicos before your trip. Also, many places do not take American Express or credit cards at all. It would be smart to bring cash. It came in handy for me and it was easy because everything was in US dollars. I have heard that the credit card transactions fees are fairly high so I would open a Visa card without foreign transaction fees to eliminate the problem. Don’t forget to call your credit card companies to let them know that you are going on a trip. I had a hard time finding any information about Provo other than on Trip Advisor. So, I thought I would share detailed information of my trip to help you, if you decide to plan a trip to Turks and Caicos. The flight from Minneapolis to Turks and Caicos was only about 5 hours in total with Delta. I could see myself traveling here for a long weekend in the future because the travel was very easy. It was made even easier with the Delta application on my phone which updated which gate I needed to get to because the layover was a quick one. I would suggest bringing only a carry on bag even for a week. Honestly, you need a few swimsuits and a few cover-ups. Everywhere on the island is casual and I ended up walking right from the beach to a meal several times. You can buy sunscreen when you get there at the local grocery store for about $10 and you don’t need make-up. I spent most of my time relaxing in the water or on the beach. 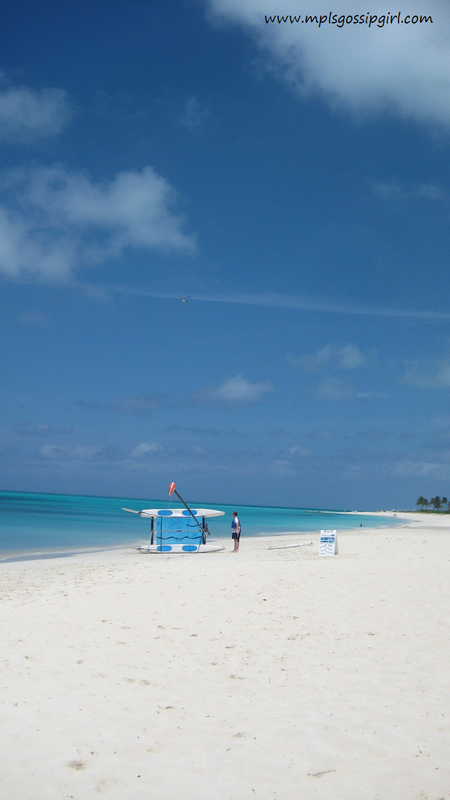 Once I got to the airport in Turks and Caicos, I was very underwhelmed. It was dirty and not updated. It was not a good first impression. Let’s all hope that they do make the updates that are scheduled to happen. The airport was the only ‘bad’ part of this vacation. When you get there remind yourself that you are now on “Island Time” and things will not happen fast. Stay calm and remind yourself you are on vacation and not in a race. It can take a while to get from the airport to where you are staying. If you are picking up a rental car at the airport go to the desks with the Avis, Budget and Thrifty signs. 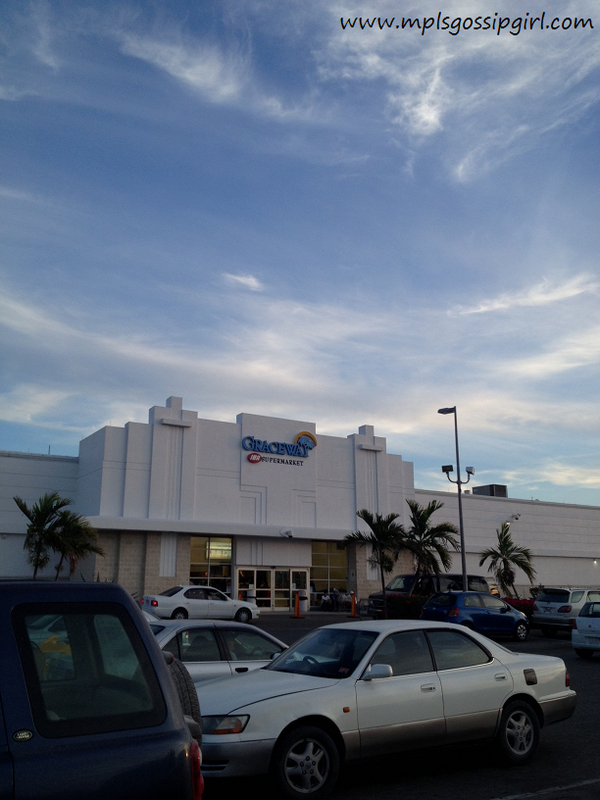 I saw a Grace Bay Car Rentals worker there even though there was no sign. I chose to go with Avis because of the rate. 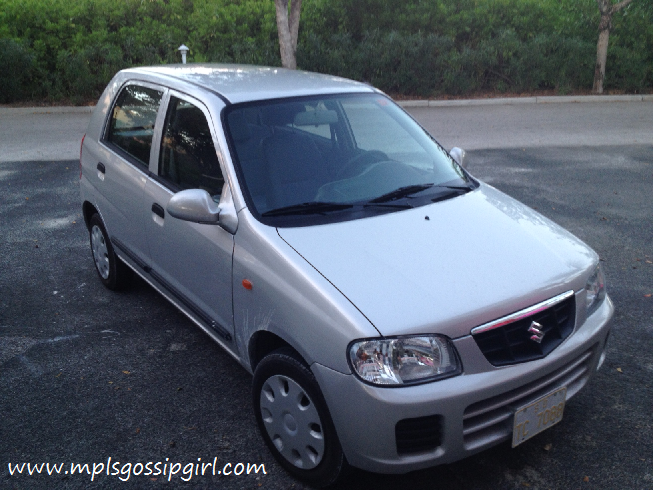 The car was tiny but had good gas mileage. It only cost about $35 for 7 days of driving wherever I wanted to go on the island. Before you go you may want to look up a map of the island online. The one that they give you does not have road names on it which makes it a bit harder. We picked one up at our resort when we got there that was much more helpful. Remember, most likely you cannot access google maps when you get lost. When driving take it slow. People go above the speed limit they do not mind going around you. Once you get a handle on the roundabouts and driving on the other side of the road you can go above the 40 mph. Oh yeah and the cars are in kmp, have fun with that. 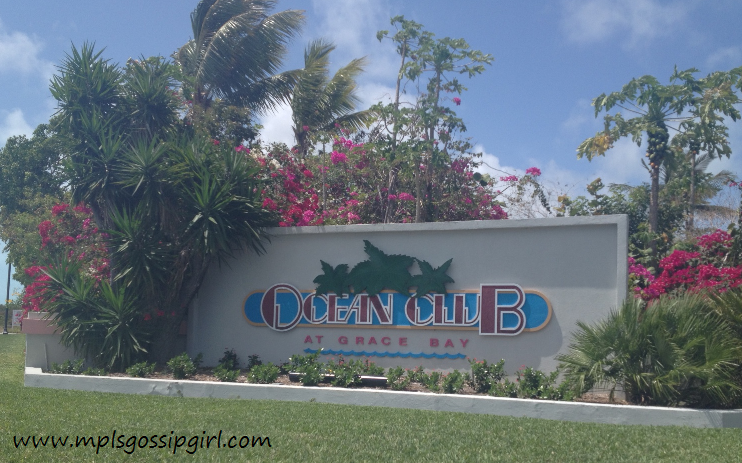 I made it to Ocean Club East at the end of Grace Bay. Check-in was a breeze and the staff were friendly and helpful. The room had fresh flowers, a full kitchen, and a washer and dryer. If you stay here I would recommend a third floor room because of the high ceilings and the view from the porch. You do have to walk up the stairs though. 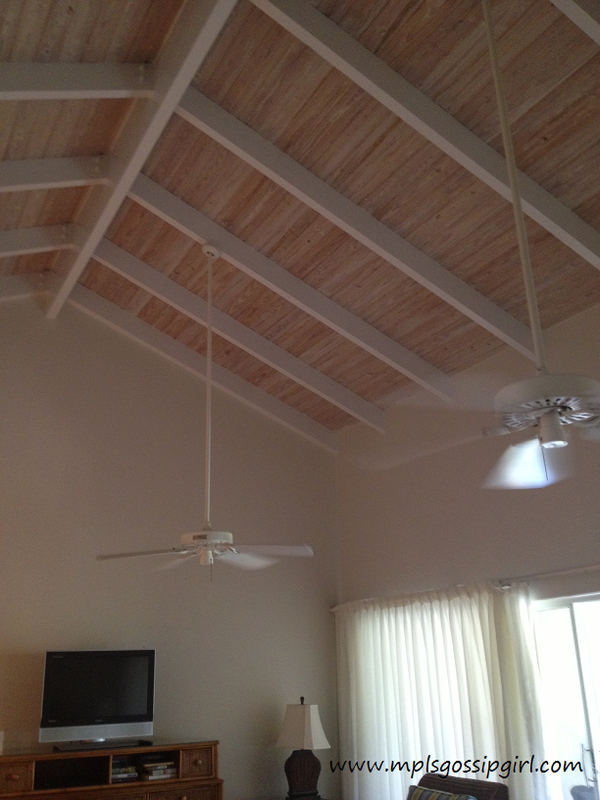 The porches are the best part of the rooms, my room had a table to eat at and a lounge chair. At the Ocean Club each room is different so if you find one you like request it the next time. You can contact the resort before your trip and let them know your travel plans and any requests that you may have. They were very helpful and had my room ready when I arrived at the resort even though check-in was at 4:00PM. I was very hungry and decided to go the Cabana Bar at Ocean Club East for lunch. You do not need reservations here and can just walk up and pick a table. I ordered the drink special and the fish tacos. They were both great! 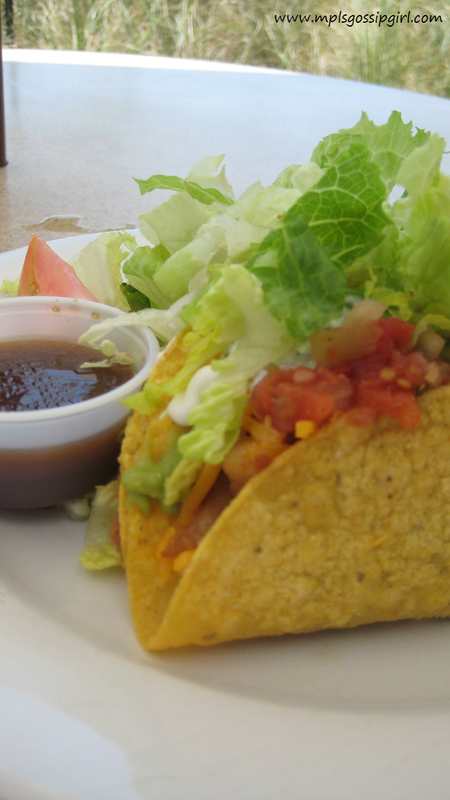 I liked the grilled fish that was in the tacos and the balsamic that was served with the salad. The service was friendly. The view from here was unreal, it is right on the beach. I was unsure if the water would be a beautiful as it was in pictures online and it was. Since the rooms at the Ocean Club have a full kitchen, I made a stop at the IGA which is the one on the highway to get some groceries for breakfast and some snack items for between meals. I thought the prices were not outrageous but what you would expect for being on an island. Some items are much more expensive, others are the same. If you are smart and buy some items that are different than when you buy at home, you will get out of there without spending a huge amount. I got eggs, butter, bread, guava jelly, and a few other items. Most of them only about a dollar more than what I pay in Minneapolis. For dinner I made a stop at The Flamingo which is between Ocean Club East and Club Med. You do not need a reservation here. I would recommend either the curried grouper or the jerk chicken. Remember to wear bug spray when you are out at night. The Flamingo is right on the beach has great sunset view. Providencailes does not have a night life. It is a place where people go to relax and get a good night sleep. Most of the people at the Ocean Club were either retired or families. If you want to go to a club or dance all night coming to Provo may not be your cup of tea. Day one was the beginning of a very relaxing vacation.